Tech Blog with latest tech news CopyShould 25 Unusual and Inspiring Uses for Your iPhone Tech Blog with latest tech news CopyShould!! I thought I’d start off with the most dramatic one first. Imagine thanking your handy little iDevice for keeping you alive in an Earthquake. Well, American film maker Dan Woolley has. Once freeing himself from rubble, and finding an escape to an elevator shaft, Woolley used a first-aid application to assist him in treating his wounds. The application also told him to set reminders not to fall asleep so he would not go into shock. 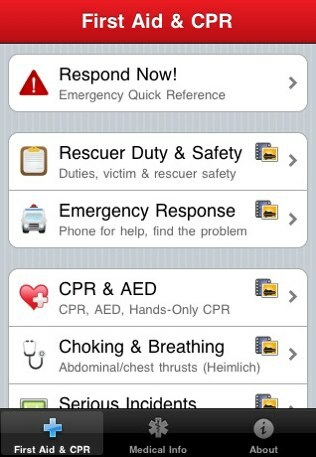 LifeRecord is a handy little application for Doctors and medical professionals. Essentially it gives access to patients’ records via technology called EMRAnywhere. Doctors can prescribe medicine, bill patients and pull up their records regardless of where they are all with the touch of a button. The iPhone application works in sync with the desktop version so all records are kept up to date between the two devices. Yes indeed, your iPhone can help you to become pregnant! A woman in the UK (Lena Bryce) was thought to be infertile for four years until she purchased an iPhone and downloaded theFree Menstrual Calendar application. Within two months of using this application, Bryce became pregnant and even gave birth on the exact day the application predicted. The child has been dubbed the first ‘iPhone Baby’. A very smart idea that allows you to use your iPhone as a baby monitor for when it is sleeping (if you can part from it for that long!). CodeGoo’s Baby Monitor application is designed to alert you when your child awakens by placing an automatic phone call to any specified number when it detects sound or movement. Feeling cold this Winter? Well this is a great solution for you! The Hands Heater application will run your iPhone and will heat up the processes onboard to keep your hands toasty and warm! Obviously it won’t get too hot (and will likely cripple your battery life), so don’t expect any miracles, but a cool little app nonetheless. An application not to be taken too seriously – Mix Deck is your own pocket DJ. You can mess around with the music on your iPhone by changing the speed and even using built in effects. Obviously not to be used in a real sense, but fun to play around with – who knows, it might inspire you to pick up Logic? Guitar Toolkit is an application I use regularly myself. After searching through the iTunes store I found it to be the highest rated, and the most expensive. All I can say is WOW! It is very accurate – even with my iPhones microphone. I tune my Bass guitar with it often, it’s quick and easy! On top of this you get functionality of of a metronome and a chord library. There are many other great tuner apps out there, just not as feature-packed. Cleartune is an example of such an application. If you are just after a tuner, maybe give it a go. Kevin Miller of Gizmodo has an interesting story of how he located the thief of his iPhone viaMobileMe’s ‘Find my iPhone’ service. While in Chicago, Miller’s iPhone was stolen at a bar. The next day he used ‘Find my iPhone’ to track down the thief, send him messages and eventually corner them until he gave it back. Now imagine if a said thief stole multiple items of you including your iPhone. Miller is not the first, nor will he be the last. There are numerous cases of these stories floating around the net – lets just hope if your iPhone does get stolen, the battery does not run flat or they don’t turn it off. Ever been unsure what your blood alcohol concentration (BAC) was and didn’t want to risk losing your license? 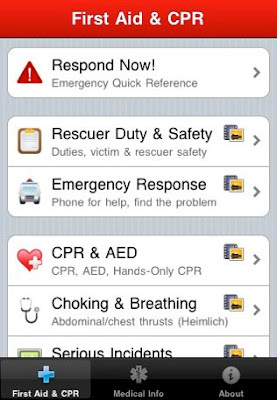 Never fear – your iPhone is here to help! There are numerous applications out there that assist you in working out what your BAC is. One I have found useful is iAlcohol. It uses a library of drinks and the latest science research to help you calculate when you are safe to drive again. DrinkTracker is another such application. As a provisional driver (whose BAC has to be 0) this application is very useful after a big night to gauge when it is safe to drive in the morning. Trapster.com is a service that is available to you on both your computer and mobile device. It relies on its users to submit information about current speed traps, or known locations of police. You can set it up to alert you within a specified distance of your location. And yes, it does seem Police are endorsing the use of it – entering in their own locations. There are various invoicing and time tracking applications available to us so we can do all the ‘paperwork’ on our iPhone from any location – even a clients office. Billings – a very popular Mac application has recently come out with their iPhone version which will synchronise across both platforms. It works quite well and, while the initial application is free, you need to do an in-app purchase to enable abilities like synchronisation between the two. Another application, Timewerks, also lets you do your invoicing and time tracking on the spot. While it doesn’t look as visually appealing, it works. Think back to when internet banking was first introduced – you were amazed you could access your money from pretty much anywhere in the world? Square is the next thing to put you back into that ‘amazement zone’. In simple terms, it allows you to take payment (cash or card) anywhere, on your iPhone. When you sign up for Square, you are mailed a small card reader that sits neatly in your headphone jack allowing you to take payments with a 2.9% rate. Other than this there are no other costs. You can even email your customer their invoice on the spot so no paperwork is required. Unfortunately it is not available in Australia just yet, but I can assume it will be more readily available in the coming months. There are many, different applications out there for controlling your home from a remote location. This can be anything from your alarm, locks, lights, air conditioner and media system. You of course need to buy hardware from the respective company to get this set up, but the convenience would be golden. Some also monitor your energy usage, so you could save money on your energy bills too. ZipCar is a service offered in the US, Canada and the UK. It allows you to reserve cars for your own use for a specified time. For a while now they have offered you the ability to reserve these vehicles using your computer and use your ‘ZipCard’ (a card with a small chip within it) to unlock the cars. The concept behind it is ingenious, as it allows you to take total control of your rental. What makes this even better is that you can do all this and more right from your iPhone. Once you have booked the vehicle (via computer or your iPhone), you can use it to beep its horn to locate the vehicle in a parking lot, and even unlock it. Simply brilliant! The Viper SmartStart application gives you the same functionality as ZipCar (although a bit more), but for your own vehicle! You may unlock it, pop the trunk, sound the alarm, or even start your car remotely! It certainly would be convenient, however I would keep your keys with you just in case – what if you park in a 3G/Edge blackspot? TeamViewer is a great remote access application for both Mac and PC. It is very easy to use, with virtually no set up. TeamViewer is also available for the iPhone now so you can access your computer while you are out and about. Reports state that it is quite smooth, even over 3G. It’s free too, so why not try it? There are many remote mice applications out there on the app store, but I have found Air Mouse Pro to be the best. It works in a very fluid manner and is more than just a trackpad. In addition, it offers keyboard replacement, and emulation of your dock. It also gives you the ability to remote control your media applications. Once you have purchased the application, just download the small program for your computer as well. AirLock is an application that automatically locks your computer based on your iPhone’s proximity to it (via Bluetooth). It looks like a promising application but has a few bugs to be ironed out – read all about it in a review from our sister-site Mac.AppStorm. I can assure you that once they work out the various bugs, this will become one of those ‘must have’ applications for the workplace. Cable is a great thing isn’t it? With your iPhone you can now remotely record cable programmes from virtually anywhere in the world. For those users with a TiVo, there is aweb app. For users in Australia with Foxtel, there’s a fully fledged App Store tool. You’re at home and don’t know what to cook? Why not pick up your trusty iPhone and do a bit of searching. AllRecipes.com’s Dinner Spinner app is here to save the day! With this application (free and paid version) you can search through a library of various recipes to try out. It’s a nice, quick and easy way to gain an idea of what to cook up, and you have all the instructions at your fingertips. Also worth mentioning, for those who are going out but don’t know where to go, isUrbanSpoon’s app. Using the iPhone’s multi-touch technology, you can turn your iPhone into a digital canvas. In fact, Jorge Colombo has done just that, painting the cover of The New Yorker. He used a widely popular application called Brushes. Many people have experimented and played around with it as you can see from their Flickr pool. Some creations are quite impressive and blow you away. FlipTime is a neat little iPhone app that can serve as a replacement for your desk calendar. It is designed to sit in your iPhone’s dock while you are at your desk. Again, it is another paper-saving solution over the traditional method. This is a nifty little app that only works on the iPhone 3GS (and iPads). It uses the in-built magnetometer to do this. There have been varied reports about the success of this application, but at least it has some possible basis for success – rather than other gimmick-type software! A cool thing about utilising the GPS functionality of the iPhone is that you can start to play around with applications surrounding speed, height, etc. German company xGadgets has created an iPhone app that will do all of this, plus add in tracking too! There are also many others in the App Store too, they just don’t offer the same feature set. If you want a ‘lighter’ option, they are probably more viable. iHandySoft have created an ingenious spirit level that makes use of the accelerometer in the iPhone. It’s called iHandy Level and it’s free. It’s very easy to use, just collaborate it and off you go. If you were after a more feature-rich application – iHandySoft have created aCarpenters toolkit which contains more functionality. That concludes this (rather large) post. It is amazing what the iPhone can do with all its built-in technologies and it’s great to see developers coming up with very innovative ways to utilise the device. I can safely assume in future versions of the iPhone to come, there will be even more functionality!